Low profile brushed twill cotton cap with bone sides and back, a black front and peak and with white piping. 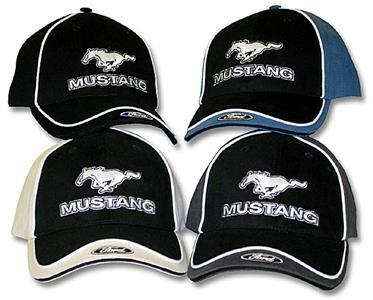 The word "Mustang" and the Mustang emblem are embroidered on the front, with a small Ford oval embroidered on the peak. Features velcro adjustment to fit almost all heads!